Award winning hotel built to resemble an historic train station. Expansive lobby with fireplace and sitting area. 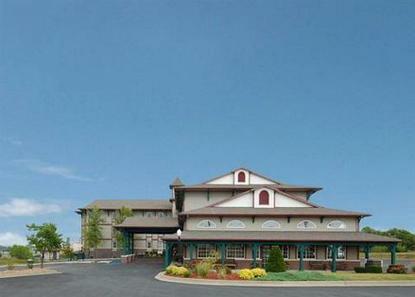 Hotel features free hard wired and wireless high-speed Internet, indoor pool with hot tub, and guest laundry. Free Comfort Sunshine breakfast available which includes: Belgian waffles, biscuits/gravy, yogurt, hard boiled eggs, assorted: fruit, cereal, pastries, bagels, breads, oatmeal and juices, and featuring Royal Cup coffee. All rooms include: refrigerator, microwave, hair dryer, coffee maker, iron/board and full length mirror. Free passes available to nearby fitness center.